The Chiron Sport benefits from a new dynamic handling package. The Bugatti developers have defined a stiffer suspension. This includes a new control strategy for the shock absorbers, which react 10 percent more stiffly than on the Chiron on average. The steering has also been modified without sacrificing its outstanding direct feel and its calculable performance. In addition to these changes, the rear-axle differential has been optimised and the car now features a Dynamic Torque Vectoring function that distributes torque individually to the wheels on each side, significantly improving the steering behaviour and agility of the vehicle, especially in tight curves. One of the modifications which make the Chiron Sport more nimble is a weight reduction of about 18 kilograms, thanks to the use of new lightweight parts. The greatest savings were possible as a result of the new lightweight wheels, together with increased use of carbon fibre, for example for the stabiliser, the intercooler cover or the newly developed windscreen wipers. 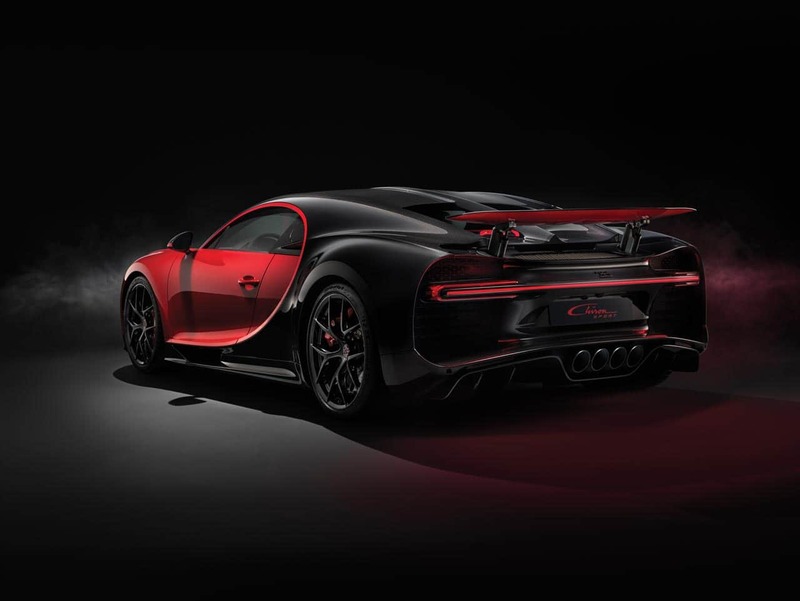 The Chiron Sport also features lighter glass in the rear window and a new, lighter exhaust deflector. As a result, the Chiron Sport has become even more responsive and corners even faster. 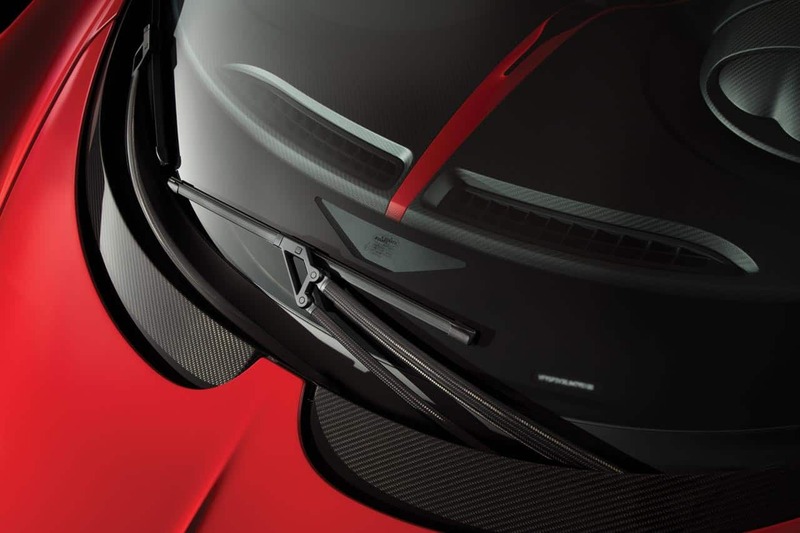 The windscreen wiper arms developed by Bugatti for the Chiron Sport are an interesting technical detail. This is the first production car to feature windscreen wiper arms made from carbon fibre. This new development means that Bugatti no longer needs the articulated joints which normally feature on conventional wipers. This Sport version has a number of design features that underline its identity as a Chiron Sport. 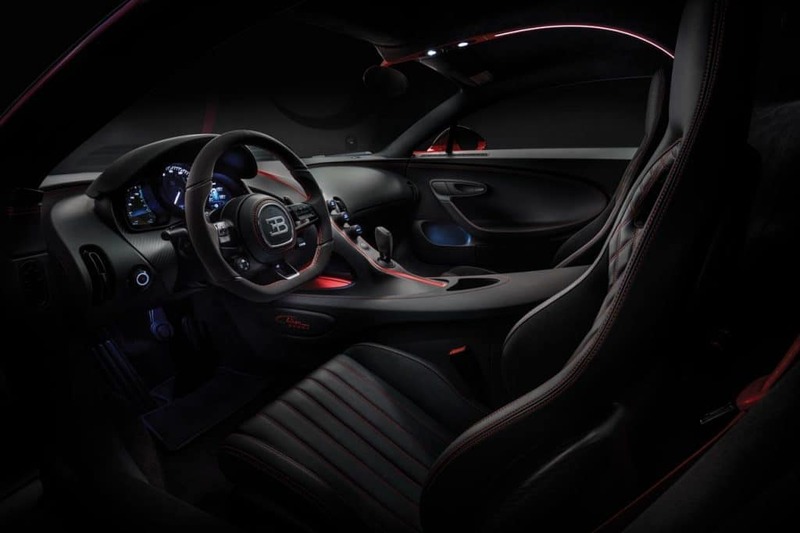 For example, the engine starter button and the driving mode selector knob on the steering wheel as well as the marketing plate have an anodised black finish, the ‘Sport’ logo is in evidence on the door sill strips and there is an insert on the central console with an embroidered ‘Chiron Sport’ logo. Black is the dominant colour of the interior. All the controls of the car have a black anodised finish. The steering wheel and selector lever are covered with suede leather. In addition, Bugatti has used three materials for the styling of the interior: Alcantara for the roof liner including the A-pillar and sun blinds, the rear wall trim, the sill trims, the lower part of the central console, the insides of the seat side cushions and the boot lining. Smooth leather is used for the seats, the inside door trims, the islands on the dashboard including the instrument cluster trim, the airbag container on the steering wheel and the armrest and insert of the central console. Finally, the dashboard itself, the door trims, the rears of the backrests and the steering column housing are made from exposed carbon fibre.